How Often Should a Female Do Crunches in Order to See a Difference? Get crunching and you'll see results in no time. You may be wondering how many crunches you need to do in order to make a difference in the appearance and strength of your abs. While you don’t have all hours in the day to focus on crunches, you still want to see results. It’s important to incorporate the right crunch exercises to get optimal results without having to spend days performing hundreds of crunches. So sit back and get positioned to crunch your abdominals to turn your muffin top into a six pack. The crunch is the name for a variety of exercises that work your core muscles, which include your abdomen, hips, lower back and pelvis muscles. 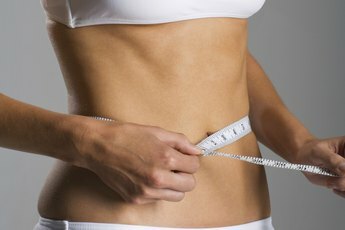 Besides helping you get that flat stomach you’ve been working for, crunches can also improve your balance and stability, strengthen your muscles and make your fitness program well-rounded, according to MayoClinic.com. The basic crunch involves lying on your back and tightening your abdominals to move your head and shoulders upward. One variation of the basic crunch is called the vertical leg crunch. Lie flat on the floor with your lower back pressed into the ground and your hands behind your head. Extend your legs so they are straight up in the air and cross your ankles, with your knees slightly bent. Engage your abdominal muscles by lifting your torso in the direction of your knees and then lowering your torso back to the floor. Do two to three sets of eight to 12 repetitions per set. In a recent study, the American Council on Exercise discovered that bicycle crunches engage the abdominal muscles much more efficiently compared to other abdominal exercises. Specifically, this crunch works your obliques. Begin by lying on the floor with your lower back pressed into the ground and your hands beside your head. Lift your knees so they are at a 45-degree angle and slowly begin the bicycle pedaling motion. While doing this motion, make sure you are crunching far enough so you can touch your right elbow to your left knee and your left elbow to your right knee. Do two to three sets of eight to 12 repetitions, with a repetition being one right elbow and one left elbow touch. The time it takes to see a difference from your crunch exercises differs from person to person. Don’t expect immediate results. If you’re dedicated to making crunch exercises a consistent part of your exercise routine and you combine that with a healthy diet, you will start to see results within a few weeks. To get the most out of your ab workout you should aim to train them three times per week just as you would any other strength training exercise, according to the American Council on Exercise. This is not only important to see results, but to also lessen the likelihood of injury. As with any muscle group, training the abs every day can lead to overworked muscles and you should wait at least 24 hours between abdominal workouts. Aim for two abdominal crunch sessions during the week and one weekend session with a day of rest in between each session. While performing the right abdominal exercises is invaluable, it’s important to remember optimal results for abdominals can appear quickly if you also include a healthy diet. Getting in shape requires a healthy lifestyle, which includes how you use your body and what you put into it. Increase the amount of plant-based foods you eat, like fruits and vegetables, and cut down on food with high fat content, according to MayoClinic.com. If your goal is to lose weight, then decrease the number of calories you consume daily. 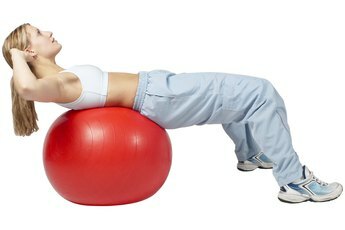 The American Council on Exercise: Should I Train my Abdominals Every Day? What Is a Cross Crunch Exercise?